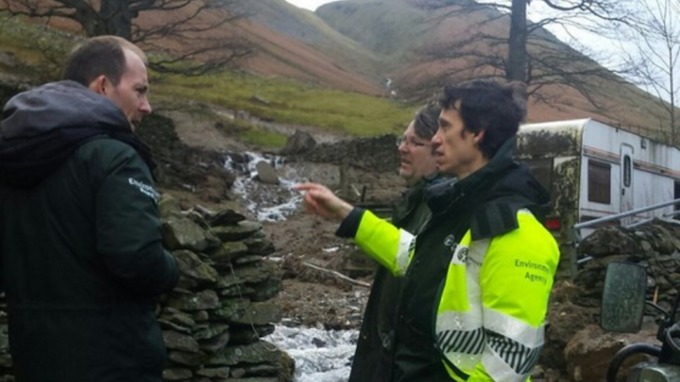 Rory Stewart, Floods Minister and MP for one of the areas worst hit by Storm Desmond’s torrential floods, will welcome the Secretary of State for Transport, Patrick McLoughlin, to Penrith and The Border tomorrow morning, Monday 28th December, for a tour of the worst affected roads and bridges. The visit will coincide with a formal announcement confirming the release by central government of a funding package worth £40m for repairs to flood-damaged roads and bridges. Work to mend the A591 and investigate restoring Pooley Bridge and Eamont Bridge is due to begin in the new year; the Floods Minister will tomorrow discuss with the Secretary of State giving responsibility for these infrastructure projects to Highways England. The government has been supporting the efforts of the local authorities ever since the extreme weather hit, as they have begun repairing the region’s transport network. This important announcement builds on the government’s provision of up to £2 million in the initial aftermath of the severe wet weather to enable Cumbria and Lancashire authorities to carry out an initial assessment of what repairs were required to roads and bridges. The Department for Transport will continue to work closely with the local authorities in Cumbria and Lancashire in recovery efforts.